Any books you are looking forward to in 2019? I'm not the best about keeping up with new releases unless I have them for review already. 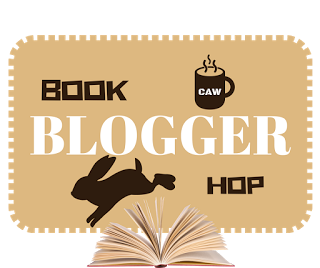 Two I'm looking forward to are Murder Once Removed by S.C. Perkins which is a cozy mystery with a genealogy twist and The Cliff House by RaeAnne Thayne which is more of a women's fiction read that focuses on the relationship between two sisters and their aunt. I'm super excited to see what all will be coming out this year as well. 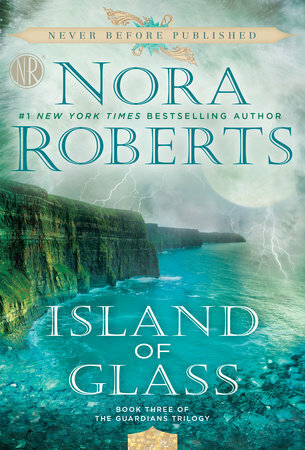 This week's book is one I'm almost finished with and is my first book of the year Island of Glass by Nora Roberts. I've had this book on my shelves for ages and I loved the first two books in the trilogy but for some reason never got around to reading it. They met on the high hill, far above the world, beneath a sky struck with the dazzle of stars and a white, waiting mood. This is one of Roberts' more fantasy leaning books so there are a few passages that get kind of fairy tale-esque. "You're saying that my brother was meant to die so I could be cursed?" Well that sounds cheery! Luckily, I know this is more the speaker working through some stuff versus an overall depressed outlook. So what do you think? Any books you're looking forward to reading in 2019? Beautiful beginning, but that horribly wonderful 56 has me intrigued!!! Happy weekend! I added you to the Linky. That book is still on my TBR mountain. I don't know why I haven't gotten to it yet since I usually love Roberts' books. This week I am spotlighting The Paragon Hotel by Lyndsay Faye. Happy reading! I'm glad you are enjoying your first book. I am looking forward to my list of Australian authors for a challenge I joined. And of course, new cookbooks! Oooh, I like the idea of a cozy mystery series that focuses on genealogy. I'm going to have to check that one out! I'm excited for FAR too many books in 2019, as you saw on my post lol! Happy 2019! Happy Friday! I like the beginning of this one, definitely sets an intersting tone! Oh, you're reading it! Enjoy! The Cliff House sounds like a good one to be waiting for. ENJOY!! I've never gotten into this author, but I have to admit that cover is fantastic. I like the excerpts. I haven't read very many of NR's "magical" books; I gravitate more to her romantic suspense. But I like the sound of this one. Thanks for visiting my blog; the author of mine has two sisters who are also writers: Liane is the eldest sister of Jaclyn and Nicola. I hope it will be a good end to the series for you. Sounds intriguing. I like when books have just a touch of fantasy. Hope you have a lovely weekend! I'll be getting Alison Weir's paperback release of Jane Seymour next week and the next Extinction Trials book in early February.